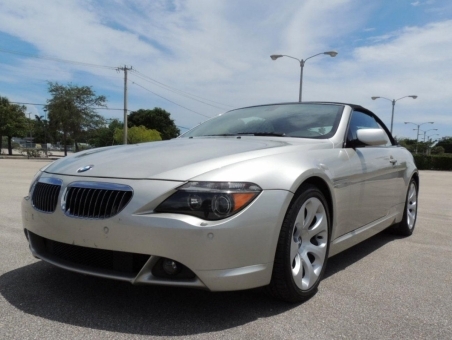 Very Nice 2005 BMW 645i Convertible. Finished in Mineral Silver over Creme Beige Leather, this particular example is a CarFax Certified, 2 Owner vehicle. This BMW never went without a thing. This is evident not only by its comprehensive service history, but also its near perfect condition. The Champagne exterior shines brilliantly. The interior is equally as nice. All of the electronic functions work exactly as they should.